Stupid, Weak, Loser, We, They, Politically Correct, Moron, Smart, Tough, Dangerous, Bad, Lightweight, Amazing, Huge, Tremendous, Terrific, Zero, Out-of-Control, Classy and Splendid. These words were carefully chosen to have the maximum impact on his audience with quite spectacular results. Time will tell if he can live up to the expectations he has raised. 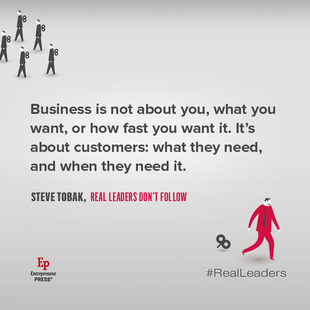 Customer focused - what else should you be? Best in class - who decides what is best and who defines your class? Low hanging fruit - never describe your prospects as a low hanging fruit. Exceeds expectations - how do you know what your clients expectations are? Expert - let your clients evaluate your level of expertise. Seasoned - lots of experience does not equate with excellence. Avoid stating the obvious, Margaret Thatcher once said “Power is like being a lady; if you have to say you are, you aren’t”. Because, Free, Value, Guaranteed, Act Now, New, Save, Proven, Secret, Premium, Bargain, Elite, Wealth, 100% Money Back Guarantee. The more you use the same words to the same audience can lessen their impact, there is a law called the law of diminishing returns, the more we are exposed to something or the more we receive of something the lesser the impact it has on us or the satisfaction we receive. If you’re blown away by a new TV ad the first time you see it several weeks later after seeing it over and over again it won’t register which you. So be careful with your marketing language, choose your words carefully and use them occasionally to have the biggest impact on your target market and avoid overuse which will lessen their impact.